Bognor’s CCTV cameras are set for an upgrade as police seek to crack down on crime. Newer, higher definition cameras are set to be installed across Sussex, but Bognor will be the first to get them. 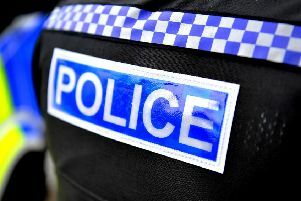 A spokesman for Sussex Police said: “Over the next 18 months, Sussex Public Space CCTV Partnership will be upgrading its network, video management system and cameras. “Arun District Council will be the first local authority to benefit from the upgrade, and Bognor Regis was selected to be the first town in Sussex to be fitted with the new high definition cameras. The upgrade is part of Sussex Police’s commitment to working with councils on detecting and reducing crime and providing public reassurance. Stephen Reynolds, mayor of Bognor, and councillor Pat Dillon went up to police headquarters to learn more about how the news system will work. Mr Reynolds said: “Bognor town council contributes to the running costs of the town council CCTV system run by Sussex Police. Asked what difference he thinks the new system will make in Bognor, Mr Reynolds said it is about deterring criminals. “The upgrade is going to be a higher definition picture. Costs of the scheme are split between local authorities and police. According to police figures, the yearly cost of CCTV per inhabitant will be 77p. Do you think better CCTV cameras will make a difference to anti-social behaviour in Bognor? Click here to vote in our online poll!